Yesterday, after spending a few minutes answering questions about marketing on Facebook for a group of photographers, I was left with the uneasy feeling that our social media marketing strategies should really come with an instruction manual. Instead, it’s been kind of thrown at us as if we should instinctively know the rules of how to use it properly. Like so many other things in our lives, there’s a certain assumption about social media that using it for business ought to feel like second nature. I mean, it’s a collection of online networking platforms where we can be social with our customers — how much more obvious does it have to be? The trouble is, I don’t think it’s really all that obvious at all, especially if we look at how so many photographers are trying to use it to promote their business. Sadly, on the whole, I’m not sure we’re doing a very good job of putting social media to great use for marketing. In fact, by trying so hard, we often make it even less likely that people will hire us. Often, we’re overly promotional or blatantly trying to get our social media friends and followers to turn themselves into customers directly so they can pose in front of our cameras in exchange for money. Really? Is that the best approach we can come up with? To say we’re cheaper than the other photographers in the area? Everywhere I look on social media (especially Facebook), I see posts for mini-sessions celebrating whatever holiday or event is coming next, discounted portraits, or obvious pleas for people to book a photographer before the latest offer has expired. Does that kind of performance really suggest that using social media for business is obvious, simple, or second nature? Marketing in a socially-driven environment demands a certain degree of subtlety, not the obviously direct approach. In fact, it sounds to me as if social media could really benefit from an instruction manual, which reminds me of my younger days starting out as a “working professional”. A welcome relief from riding around on my bicycle at the mercy of the British weather delivering newspapers after school, my first “good” job had the very important-sounding title of “technical writer”, which involved writing stuff that I’m pretty sure no one but myself and my immediate boss would ever read. Writing stuff that you knew in advance hardly anyone would read while trying to keep a very critical and detail-orientated boss happy at the same time—certainly no trivial task, for sure. Even if someone out there did feel the need to read it, I’m sure it was more from necessity than through any desperate need for entertainment! So what was this stuff that was so bad no one in their right mind would ever want to read it? Software instruction manuals—super-exciting, edge-of-your-seat stuff, right? That job as a technical writer was for a government project responsible for producing some of the first educational software ever to be used in British schools (this was back in 1984 when you would only find the word “gigabyte” in science-fiction stories, and around the time the first Macintosh computer was launched). Personal computers in those days were nothing like the amazing machines we have today, and we worked on computers like the BBC Micro, Sinclair Spectrum and the TRS-80. Memory space was counted in kilobytes, color displays were unheard of, and programs were stored on floppy discs. In a sense, the schools who embraced those machines for enhancing education were true front-line pioneers. My job at that time wasn’t to make the software sound interesting, but simply to help people figure out how to use it when intuition alone wasn’t enough to figure it all out. While I really enjoyed the work, and even though I look back on those simpler days with fond nostalgia, I still have a mild phobia of instruction manuals! I often look at them more as part of the packaging than as something I should really pay attention to, unless I run into problems or accidentally break whatever was in the box through ignorance of how to use it. And I know it’s not just me! Who Reads The Manual Anyway? While we’re here, you might as well admit it—you’re just the same when it comes to reading manuals, right? For example, take that all-new DSLR camera you just bought. I bet it was the very first thing out of the box, to be cuddled and admired like a piece of treasure, whereas the manual was tossed to one side and classified as “emergency reading” only for when you can’t figure out what that new button is for. It’s as if we instinctively know (or at least think we know) how to operate whatever new toy we just bought, and that the manual must be for the benefit of the dimwitted or technically-challenged. And we treat almost everything this same way—phones, TVs, DVD players, computers, toasters, washing machines, coffee makers, or cars. Nothing, it seems, is so complicated that we have to read the manual first. 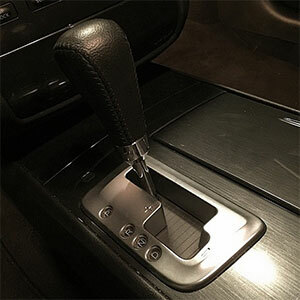 But some things could really use a manual—it would save so much trouble and messing around. In fact, here’s a funny (and somewhat embarrassing) story from just yesterday. Kathy and I had to rent a car because our VW Passat has to spend some time in the repair shop due to a shredded serpentine belt. The car we rented was a nice Nissan Maxima, and a slight upgrade from what we asked for, so that was a pleasant bonus. Now, how hard can it be to drive a car these days? After all, they’re mostly the same, right? As luck would have it, we were driving right past the car rental shop when this happened. I had just stopped to fill up with gas and, as I pulled away from the gas station, the car suddenly refused to shift gears with the automatic transmission apparently stuck in first gear. Being right across the street, we returned it to the car rental shop, only to be informed after a brief inspection that I had unknowingly engaged what Nissan calls the “smart drive”, which turns the automatic transmission into a manual one, something I now affectionately refer to as the “dumb drive”. User error, for sure, and a lovely case for the argument of reading the manual. Does The Internet Need A Manual Too? Take the Internet as another example—that invisible monster that rules almost every aspect of our lives these days. Heck, you’re most likely listening to or reading this on the Internet, and I bet you managed to do that without having to read a manual, right? As I mentioned at the beginning, if there’s one thing out there that probably does need a user manual, it has to be social media. Of course, we think we know how to use it properly, and it sure sounds like it ought to be easy enough, but we’re probably making at least as many mistakes there as anywhere else these days when it comes to marketing. Is Social Media Good For Getting Work Directly? Has anyone gotten work from Pinterest? I’m not using it right now, but wondering if it would be a good tool to use or not? Now, just to be clear, I’m not suggesting this is a dumb question or anything like that, but I do think it highlights the way many of us are mistakenly thinking about social media, which is to view all those social networks as a series of separate and distinct marketing “tools”, rather than seeing them as important parts of a larger system—one with the clear purpose of creating and nurturing relationships with our clients and prospects. 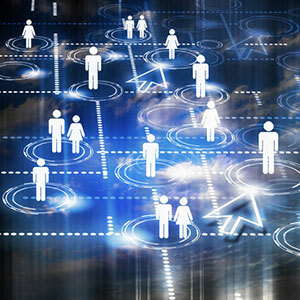 But the reality is that the social networks are not really intended as individual tools to be used in isolation, at least not for marketing purposes. That would be like thinking of the aforementioned Nissan “smart drive” as a tool we can use separately from everything else in the car—it just doesn’t wok on its own (apparently, I can’t even work it properly when it’s part of the system, either, but that’s beside the point). In other words, a social media network such as Pinterest can be an effective component of your overall photography marketing system, especially when used strategically, but it would be far less effective if used as a marketing tool in isolation from the rest of your marketing efforts. Relying on Pinterest to generate work directly on its own isn’t likely to produce the same results we might see from integrating it into a coherent and strategic system. Suppose you’re a family photographer and you have some Valentine’s Day special mini-sessions coming up that you want to promote and take bookings for. Looking at Pinterest as an isolated marketing tool, you could design a promotional graphic to illustrate the romantic mini-sessions you have on offer, with some text on the image telling prospects what to do next, or which number they should call to book a session with you. You can then pin that graphic on Pinterest with some additional text and a link back to your website, and wait for the bookings to come in. If that was all you did with it, how effective do you imagine your campaign would be? 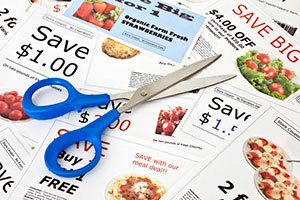 In a sense, this method of taking a marketing graphic and pinning it directly to Pinterest as a solo strategy has a lot in common with the traditional method of direct mail marketing where something like a 4×6 postcard would feature a similar graphic with a call to action to get people to get in touch and book with you. While it’s true that you probably have more people interested in what you’re sharing on Pinterest than you might have seen with direct mail marketing, this solo marketing method still relies on the reader taking a bigger step than they might be comfortable with at the time they actually see the piece. Yes, they might love the imagery and they may resonate to some extent with the text on the graphic, but are they really ready to commit right there and then to making a booking with you? Maybe (more like probably) not. In order for them to make that buying decision, they most likely need more information to help them get to know, like, and trust you as their potential photographer. With Pinterest as the sole touch point in this example, it makes it more difficult to answer any questions they may have or provide them with additional information to motivate them to take action. The other disadvantage of using Pinterest as a simple marketing drop in this example is that people may not see it at the time when it’s convenient to make the booking decision. That doesn’t mean they won’t be ready at some other time, sooner or later, but the moment has passed and they may not see your post again unless they repin it to their own boards for later reference. Even then, there’s every chance it will be forgotten about. Going back to the original question of “how to get work from Pinterest”, it seems that the answer requires more than just using Pinterest on its own. Yes, for a photographer with a large number of well-targeted and engaged Pinterest followers, this tactic may work, but what about the photographer who is not so well-connected or is fairly new to the business? My guess is, the results would be minimal at best, resulting in a lot of wasted time and effort for the photographer, not to mention frustration at trying to figure out why the social media tool isn’t working for them. Do you have a huge following on social media? And bear in mind that these ideas apply just as well to Facebook, LinkedIn, and Twitter as well as Pinterest. Are your social media connections already highly engaged with you? Is that engagement or volume of connections enough to guarantee a good response to an offer through any social media channel alone? If so, great, but I’m guessing probably not. Perhaps there’s another way to look at this—one that’s more strategic in nature. Social media strategies work best when different tools are used together, rather than on their own. Let’s take the same example of promoting a series of Valentine’s Day portrait mini-sessions but this time, we’ll consider Pinterest as being just one part of a marketing machine rather than as a standalone tactic. 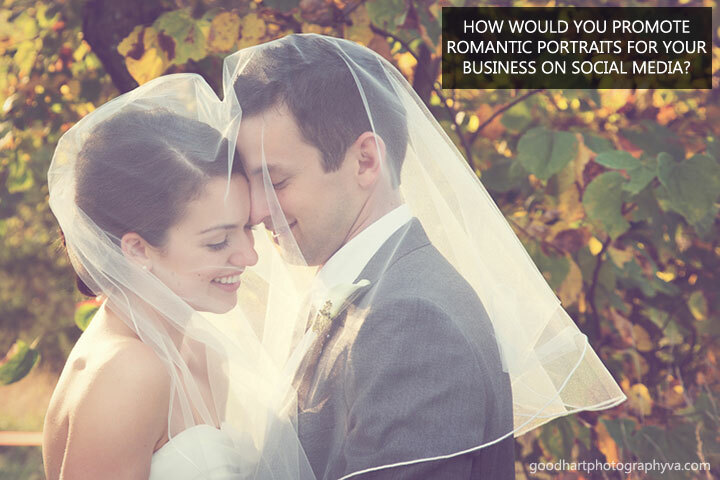 This time, rather than posting marketing graphics similar to those traditional direct mail pieces, you can pin a series of images from a planned set of blog posts that are centered around the topic of Valentine’s Day portraits. These blog posts are designed to highlight many of the emotional elements of Valentine’s Day as well as showcasing specific images and ideas. Your strategic plan might be to publish your series of blog posts, one at a time, over a period of several days or even a couple of weeks, and to share those posts across all of your social media networks, including Pinterest, of course. Instead of a single shot in the dark, you now have a planned and well-targeted campaign designed to reach your audience in the places where they hang out online many times over a period of time, which helps your message to soak in gradually and in several different forms. Can You Post The Same Thing To Every Social Network? By the way, when it comes to sharing your content on social media, you do need to make sure that each post is formatted and written in a way that’s appropriate to the network it’s being shared with. This is part of what is being referred to as “adaptive content”, a term you’ll no doubt be hearing a lot more about in 2015 and beyond. For example, the best image sizes and formats to use vary across the various social networks, and even the language you use to communicate with should fit the intended audience. In other words, try not to rely too heavily on automated cross-promotion on social media, but instead craft each message according to where it will be posted. Yes, it’s a pain in the rear end and requires a bit more work on your part, but people will be much more likely to resonate with your message that way. As far as I’m concerned, the additional effort will only help to further separate you from the competition, so it’s worth investing some time into. Going back to our example, you now have a series of articles and blog posts being published over a period of time, with images being shared from each of those on Pinterest and other social media platforms, meaning you now have more chances to engage with your target audience over a longer period of time. Remember that marketing is a long game—it doesn’t work so well when treated like a quick-win system. In that sense, it’s a bit like the old hare and the tortoise where the slow but steady approach is sure to win the race in the long run. When your connections on Pinterest notice what you’ve pinned they can click on the photos to visit the post related to the image, and that’s where the real magic happens as you convert readers into buyers. Because this strategy has been carefully planned out in advance, you’re able to create a steady stream of content with the express purpose of generating quality leads, all with plenty of time to spare before the actual mini-sessions are due to happen. Each of your blog posts, for example, will have a clear and specific call to action designed to convert your visitor into a lead, especially if she happens to fit the model of your target client. This works so well because your blog posts and the marketing copy you use is talking to her specifically and creating a virtual relationship with her. “Shot In The Dark” Or “Strategic Planning”? Take a moment to contrast this time-release and multi-pronged marketing strategy with the original single-shot Pinterest pin approach. Quite a difference, wouldn’t you agree? In fact, doesn’t the single-shot way feel more in line with what we’ve come to think of as emergency marketing? Thinking of Pinterest as not much more than a simple social media tool to be used on its own to get work has a lot more in common with those poorly-performing marketing ideas we’re forced to come up with and implement quickly because we desperately need to find more clients. Another benefit of using these tools as part of carefully-planned social media marketing strategies is that you can be far less aggressive with your marketing copy, meaning it comes across as more relaxed and conversational, and therefore much more likely to make a lasting impression on your audience. That lasting impression can then lead to more bookings without having to turn up the sales hype. The one thing I really hope you can take away from this is to challenge every assumption you have about marketing your business, even if it seems “obvious” and especially if you think “that’s how everyone else is doing it”. Take a look around you with an objective eye. You’ll see that most of the photographers out there are struggling or having just as hard a time finding clients as you are, so why would you want to copy what they’re doing? Instead, question everything, and fall back on solid and proven marketing principles to help guide you as you work to reach the people you’re meant to serve.